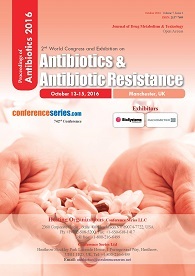 Antibiotic resistance refers specifically to the resistance to antibiotics that occurs in common bacteria that cause infections. The easy access and effectiveness of Antibiotics led to overuse in live-stock raising promotes bacteria to develop resistance. This led to widespread problems with antibiotic resistance. 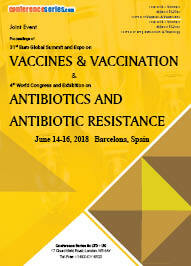 World Health Organization (WHO) classified antimicrobial resistance as a serious threat and no longer a prediction for the future. 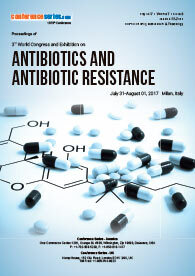 Antibiotic resistance is now among every part of the world and its affecting everyone irrespective to the age. When infections become resistant to first-line drugs, more expensive therapies must be used. A longer duration of illness and treatment, often in hospitals, increases health care costs as well as the economic burden on families and societies. 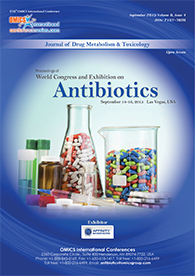 To help prevent the development of current and future bacterial resistance, it is important to prescribe antibiotics according to the principles of antimicrobial stewardship, such as prescribing antibiotics only when they are needed. The US Centers for Disease Control and Prevention (CDC) said today that antibiotic-resistant pathogens sicken 2 million Americans a year and listed the three most urgent threats as Clostridium difficile, carbapenem-resistant Enterobacteriaceae (CRE), and Neisseria gonorrhoeae. Antibiotic-resistant microorganisms play a role in 23,000 deaths each year, the CDC said. In 2009, the ECDC and The European Medicines Agency (EMA) estimated that the overall cost for the EU in terms of extra health care costs and productivity losses totaled at least EUR 1.5 billion each year. For the US, estimates are as high as $20 billion in excess direct health care costs, with additional costs to society for lost productivity as high as $35 billion a year. Studies on deaths attributable to a small and differing selection of MDR infections show that, each year, these infections result in an estimated 25 000 deaths in 29 countries in Europe (5.1 per 100 000 inhabitants) and 23 000 deaths in the US.